FC Barcelona B lost 1-0 at home to Real Valladolid on Saturday afternoon, a result that means the reserves remain in the relegation zone of Division 2A. It was clash of the typical Barça possession game against the defend-and-counter of the visitors, with youth player Juan Miranda showing plenty of signs of class, but it was a Jaime Mata goal for Los Pucelanos that eventually tipped the balance after 77 minutes. Indeed, the chances were flowing for the blaugrana throughout the first half, and any of Arnaiz, Vitinho or Martínez could have scored. By half time it still seemed only a matter of time before the Miniestadi would finally have something to celebrate. 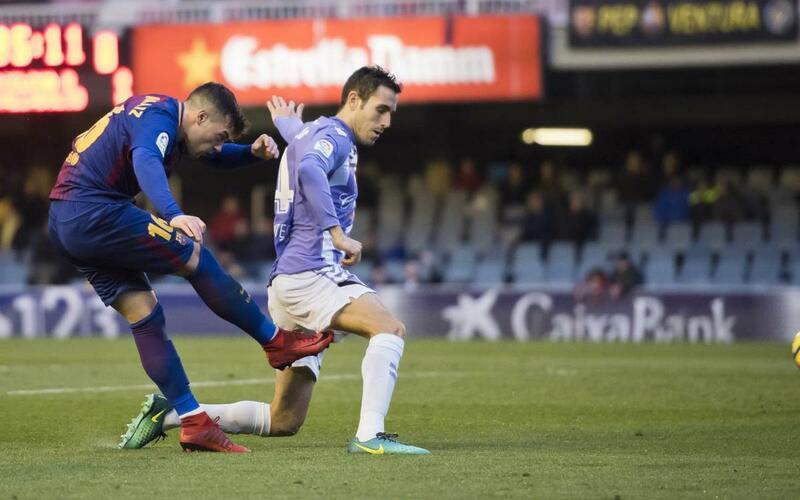 Valladolid were a lot more threatening after the restart, but Barça B still looked the better side, and had a former player in Jordi Masip, now between the posts at Valladolid, to ‘blame’ for much of their misfortune. The goal came as a cruel blow, and despite the fight-back, including what would have been a spectacular goal from the hallway line from Sergio Gómez, there was no avoiding the ninth defeat of what’s proving to be frustrating season for Gerard Lopez and his team. Next up is the long trip to the Canary Islands to face mid-table Tenerife on Sunday at 8.00pm CET.